2 different "Make and Takes" each day!! 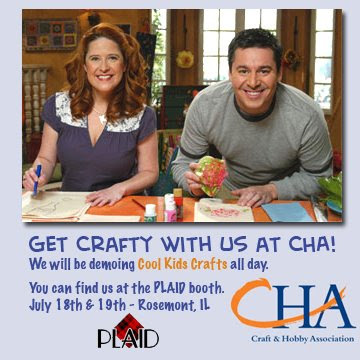 Come get crafty with us at CHA in Chicago! We will be in the Plaid booth each morning and afternoon! 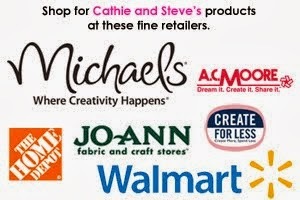 We will be demoing the hottest crafts that families can make together and kids can do on their own. Don't worry if you can't make it - I'll post all the pics and instructions here. Morning: Saucy Monsters made with recycled sauce bottles and glow in the dark Mod Podge. Afternoon: Trick or Treat Bags made with hand print spiders and Mailbox Stencils. Morning: Rock and Roll Chalk Paint. Record albums and cd's get a makeover with chalk paint. Afternoon: Snow Families made with Texture paint and recycled goodies. Can't wait! Glow in the dark Mod Podge - you've just made my day, lol!